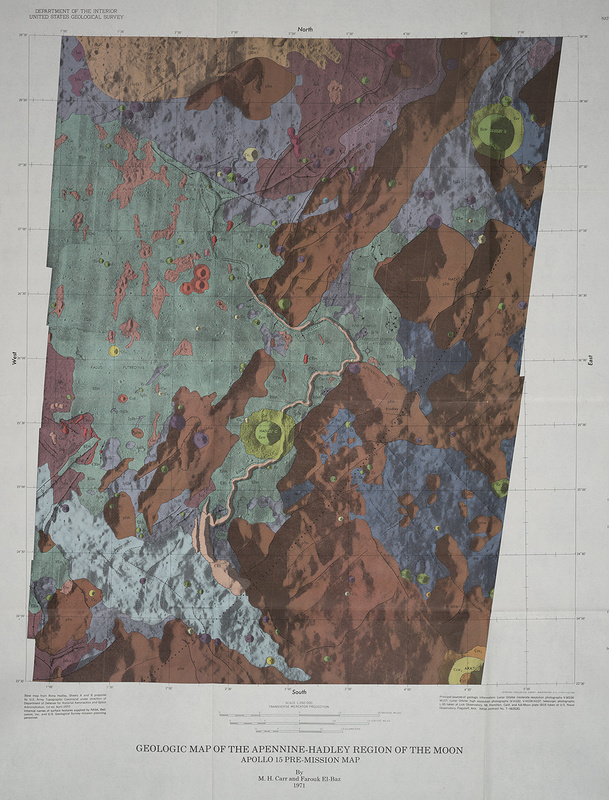 This map, one of a pair of the proposed Apollo 15 landing site in the Apennines, is at a scale of 1:250,000. The illustration, which represents only a small fraction of the large folding map, shows crater Hadley C (now just Hadley), the winding Hadley rill, and Hadley delta where Apollo 15 would touch down. The proposed landing site, right of center, is indicated by a small circle and cross.